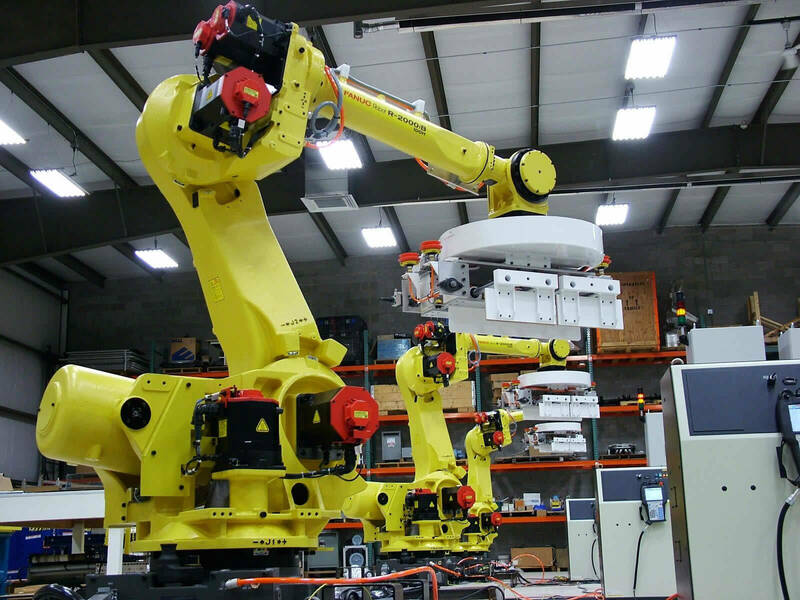 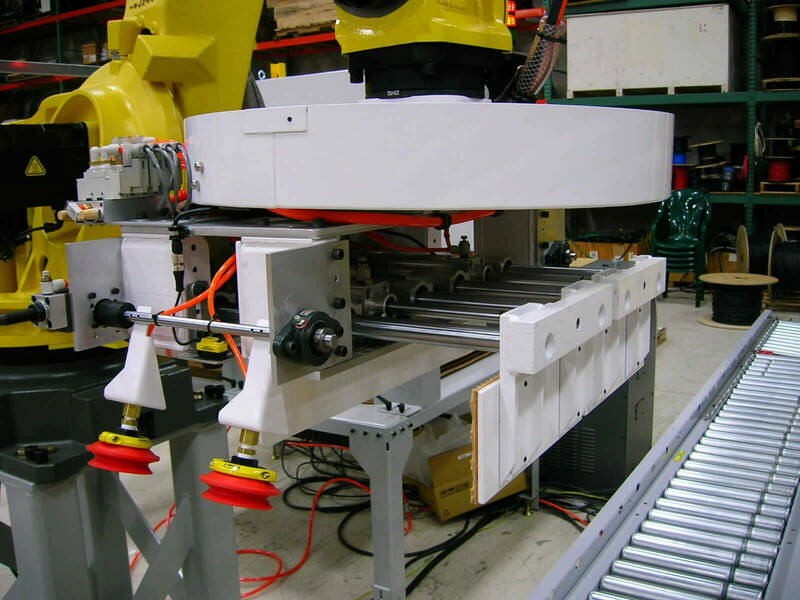 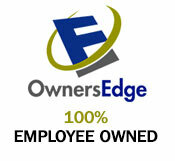 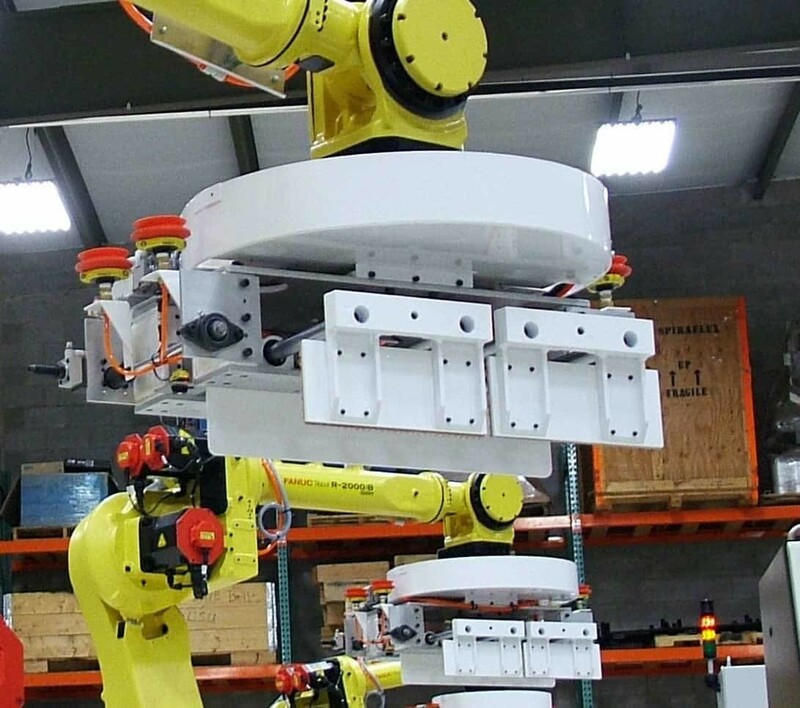 QComp has engineered many systems with a variety of large robot applications. 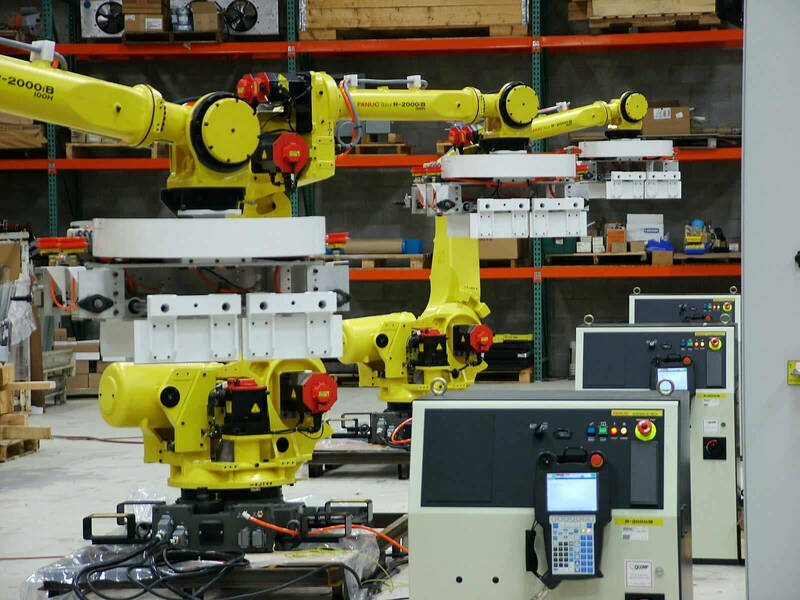 QComp represents several robot manufacturers and we will select the best robot for the application based on the needs of our customer. The International Organization for Standardization gives a definition of a manipulating industrial robot in ISO 8373: "an automatically controlled, reprogrammable, multipurpose, manipulator programmable in three or more axes, which may be either fixed in place or mobile for use in industrial automation applications."